Heated aerosols - so called thermo-aerosols - often demanded by a lot of users and patients, may be produced by upgrading the device with special heating equipment. 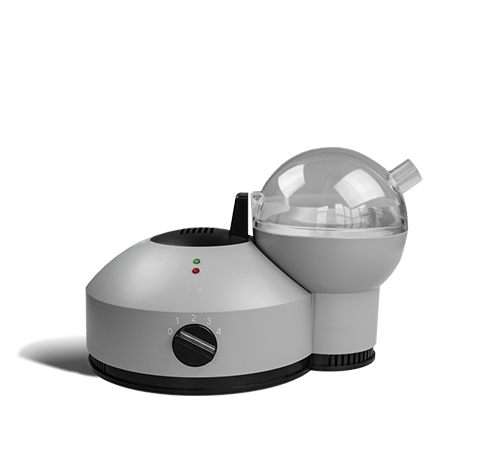 Further accessories such as a 5-roller- carrier complete the nebutur to a universal inhalation therapy unit. A maximum of 0.5 litre of fluid can be nebulized with- out refilling. In addition, precise amounts of medication may be inhaled with a special medicine cup.